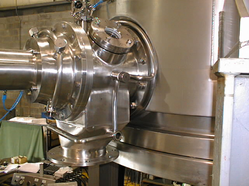 De Dietrich Process Systems carries a comprehensive range of valves fit for glass, glass-lined, Stainless Steel, and specialty alloy reactors and tanks as well as filtration and drying equipment. 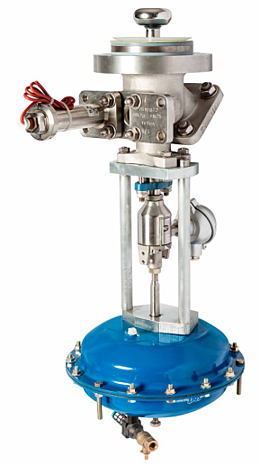 Our valves carry out numerous functions, including regulation of process flow, emptying, introduction, and sampling. Most of the valves we manufacture are available in manual or pneumatic versions and can be fitted with temperature measurement sensors, measurement electrodes and other accessories. The Clean Valve is a bottom flush valve designed for use on glass-lined, Stainless Steel, or hastelloy reactors and tanks. 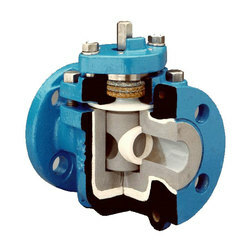 This easy-to-operate, easy-to-clean, self-draining valve allows for a variety of functions without the need to interrupt the process and without dismantling the valve. 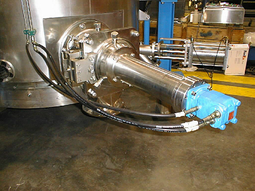 The Clean Valve is ideal to use in any process where batch-to-batch cleanability is important. 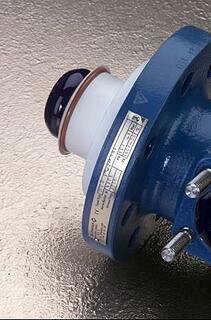 The Clean Valve has been designed with the most rigorous cleaning operations in mind. 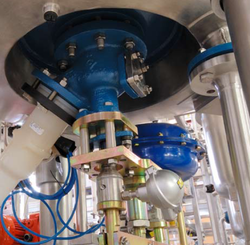 The valve seat seals against the bottom outlet nozzle to prevent any collection or build-up of materials in the annular area between the valve seat and nozzle wall. An additional port with a 5º downward sloping angle has been built into the valve to facilitate cleaning of the internal components and body. 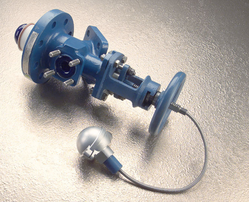 The Clean Valve is able to accommodate an RT or TC sensor at the lowest point in the vessel for a more accurate and reliable temperature measurement. The glass-lined steel design of the Clean Valve ensures no metal contamination of the process fluid and enables use across a wide temperature and pressure range. Unlike PTFE-lined plug valves, our chemical ceramic lining adds assurance and durability to virtually any process, providing maximum corrosion resistance, longer valve life and less chance of leaks. The heavy duty design of our ceramic plug valve is ideal for even the most difficult CPI applications. The key feature of our ceramic plug valves is 3/8" chemical ceramic internals, highly polished to avoid friction. 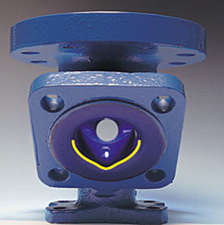 The valve is encased in a tough, ductile iron armor which is coated with corrosion resistant paint. The easy open design allows top acess for quick and simple seat replacement. Liner collapse in vacuum service is also eliminated. Sizes from 3/4" to 6"
For reaction units constructed around QVF glass reactors or special reactors from the VERI range, we use a DN40 glass valve in which the PTFE piston is directly applied without a seat to the enameled reactor flange. See the sampling section for more information on our sampling valves. Metal-to-metal sealing principle ensures long life of the product. Does not require hydraulic pressure to stay closed. Easy maintenance for both vessel and plug side. Clean Seal, the new Rosenmund side discharge valve, is designed with a sealing system that eliminates contact between metallic sealing seats and products to be discharged.